Not all self-proclaimed anarchists are capitalists. In fact, anarcho-communists reject capitalism vehemently. 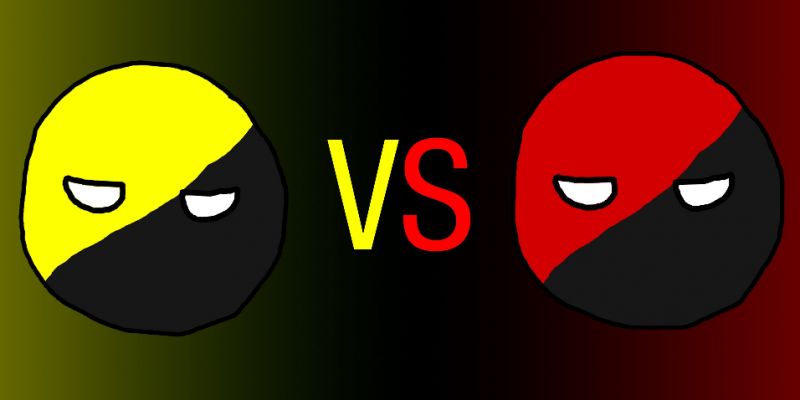 Clearly, “AnCaps” and “AnComs” can’t both be right. Is property theft? Is capitalism voluntary? Is profit exploitative? Dive into the rabbit hole of philosophy with Danny boy and repeat guest “The Pholosopher” for an examination of this alternative anarchic concept. Perhaps you could speak to actual philosophers, sociologists or other people on the left who know the theories. I have to say some of the interpretations are a bit cringe worthy.